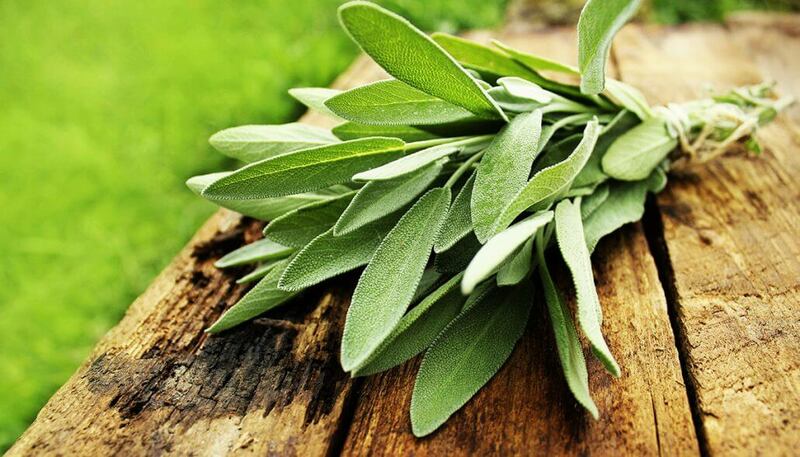 Of the many herbs used to boost the flavor and benefits of tea, sage is among the most common. While many people already use the herb in cooking, they could be getting the added health benefits if they choose to steep a green tea blend with sage in it. In fact, Sir Jason Winters believed sage is one of the best herbal options when it comes to creating a green tea blend. Our best selling herbal tea blend uses sage, and you can find it in loose leaf or tea bags in our shop. For tea drinkers that haven’t had tea with other herbs added in, sage is a good place to start. The herb has an incredible flavor, and some of the potential health benefits could end up making your cup of green tea even better for you. Sage may offer tons of benefits, many of which work in conjunction with the benefits already found in green tea. Some of the main benefits found in sage are the anti-inflammatory agents. Chemicals found in sage are great for reducing the inflammation in ailing areas. So, if you are suffering from an inflammation that is leading to respiratory problems, sage is going to help. Also, much like green tea, sage is full of antioxidants. The more antioxidants you have in your system, the easier it will be for your body to slow the degeneration of cells. Antioxidants also slow the mutation process, so your cells will continue to replicate with a smaller chance of deterioration. While sage has many other benefits that work in conjunction with green tea, it also offers specific benefits that you won’t get from a normal herbal blend. For example, sage is full of vitamin K. This vitamin is essential for keeping up the health of your bones, and a higher vitamin K intake is going to lead to denser bones. This is particularly important for green tea drinkers who are worried about weakening bone strength. Flavor-wise, it’s tough to go wrong with sage. There’s a good chance that you’ve had sage before, if not recently. The flavors that you get out of sage when prepared with food aren’t far from the flavors with tea, but the combination creates a unique and very pleasant flavor. When paired with our Herbal Green Tea Blend, the flavor of sage is used to complement the natural green tea flavors. Also, there isn’t much that smells better than a cup of green herbal tea with sage. You might end up making it just for the aroma! Sage is a common herb, but that doesn’t mean it isn’t special in any way. Green tea drinkers have been adding sage to their blends for a long time, and if you’re ready to get some more health benefits with an awesome flavor, then you should try an herbal blend with sage, too! Does Sweetening Tea Ruin Its Healthiness? Does Green Tea Go Bad?